Leonard Edward Elliott, 91, of Kansas City North, passed away April 18, 2018, at Liberty Hospital. He was born March 3, 1927, in Chicago, Illinois, the eldest of two sons of Leonard Adams and Genevieve (Turner) Elliott. 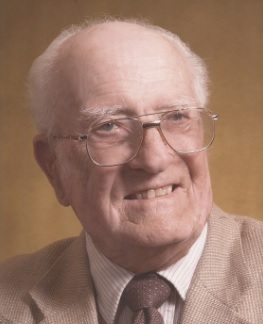 Along with his parents, Leonard was preceded in death by his wife, Edyth (Witthar) Elliott; daughter, Shirley Henson; and granddaughter, Kelli Dorsey. Leonard served in the U. S. Navy during World War II, receiving honorable discharge as a Seaman First Class on December 26, 1947. He was a member of the LST Association and American Legion Post 95 in Liberty. Leonard’s career as a switchman for the Burlington Northern Railroad spanned 37 years. Following retirement, he worked 10 years for the K. C. Auto Auction. He was a member of Hillside Christian Church. Survivors include four children, Barbara Daniels (Jerry), Donna Dorsey (Robert), Wayne Elliott (Kimberly) and Larry Elliott (Nashana); as well as many grandchildren, great grandchildren and great-great grandchildren. He also leaves his brother, Eugene Elliott and his family. Visitation will begin at 12 noon, followed by a service celebrating Leonard’s life at 1:00 pm, on Friday, April 20, at Park Lawn Northland Chapel, I-35 at State Route 291, Liberty. Burial with military honors will follow in Resurrection Cemetery. Memorials are suggested to Honor Flight KC (honorflightkc.org).